This note is re-printed here and first appeared in Science, volume 357, page 1248. The saola (Pseudoryx nghetinhensis)—a primitive wild cattle species (1) endemic to the Annamite mountain range of Vietnam and Lao People’s Democratic Republic (PDR)—was first discovered in 1992 (2, 3). Twenty-five years later, it is on the verge of extinction (4). Although precise population estimates are not possible, the Saola Working Group, part of the Asian Wild Cattle Specialist Group of the IUCN Species Survival Commission, estimated in 2015 that fewer than 100 saola survive (5). The primary threat to saola is intensive, commercial snaring (6) to supply the thriving wildlife trade in Indochina (7). Because snares kill indiscriminately, nontarget species such as saola are affected along with target species. Other threatened endemic species in the region, including the recently discovered large-antlered muntjac (Muntiacus vuquangensis) and Annamite striped rabbit (Nesolagus timminsi), also suffer from snares (8, 9). There has been little progress in either Vietnam or Lao PDR to sufficiently reduce snaring, and even if poaching could be stopped, saola numbers are now too low and fragmented to allow the species to recover. To save saola from extinction, we must rescue surviving individuals and provide a protected habitat for them. 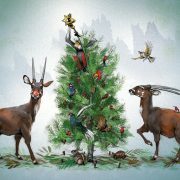 The last saola must be found, caught and transferred to captive breeding facilities located within the range countries. The first facility is currently being built in Vietnam (10). The breeding center will be staffed with hoofstock experts to ensure the survival and successful breeding of captured saola. After a captive population has been secured, the next challenge will be to protect one or more areas from poaching—only then can the species be reintroduced into the wild. Other threatened Annamite endemics will benefit from these protection efforts. Creating a place for saola to flourish will require a substantial, wellfunded, collaborative international effort, in partnership with the governments of Vietnam and Lao PDR. Administration, Hanoi, Vietnam. 7Center for the Conservation of Tropical Ungulates, Punta Gorda, FL 33982, USA. 8White Oak Conservation, Yulee, FL 32097, USA. 9Smithsonian Conservation Biology Institute, National Zoological Park, Washington, DC 20008, USA. 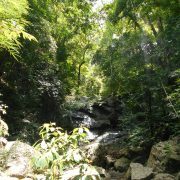 10Wildlife Conservation Society, Bronx Zoo, New York, NY 10460, USA. 11Zoo Wroclaw, Wroclaw, Poland. 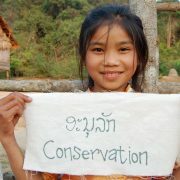 12IUCN SSC Asian Wild Cattle Specialist Group, Austin, TX 78767, USA. 1. A. Hassanin, E. J. P. Douzery, Proc. R. Soc. London Ser. B Biol. Sci. 266, 893 (1999). 2. V. V. Dung et al., Nature 363, 443 (1993). 3. G. B. Schaller, A. Rabinowitz, Oryx 29, 107 (1995). 4. R. Stone, Science 325, 1192 (2009). Saola Working Group, Hanoi, Vietnam (4–7 November 2015). 6. T. N. E. Gray et al., Science 355, 255 (2017). 7. V. Nijman, Biodivers. Conserv. 19, 1101 (2010). 8. A. Abramov et al. Nesolagus timminsi. The IUCN Red List of Threatened Species (2008). 9. R. J. Timmins et al., Muntiacus vuquangensis. The IUCN Red List of Threatened Species (2016).